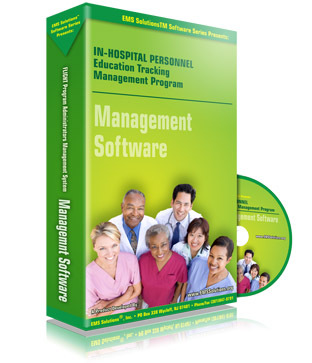 Welcome to the In-Hospital Personnel Administrator’s Management Series... We at EMS Solutions have developed a Graphical-based approach to making your job of managing the educational certifications of all you RN and affiliate staff as simple as possible. A Multi-User Version is also available. We have developed specific files/templates that perform the following functions: • Personnel Records Module, allows you to maintain records on all of your staff, including information on CEU & Division recertification tracking. It includes automatic generation of expiration warning and suspension letters as well as OEMS documentation regarding Basic Skills and Recertification. A Memo tool is provided for making brief, general or personalized announcements to the staff. • Department Requirements Module: Each department within a hospital has specific and unique educational requirements. This module allows the individual department to specify these items and they are reflected back into the primary association within the Personnel Module.